Prenuptial Agreements can be a topic that is difficult to bring up as part of wedding planning given the unromantic nature of the document. Many folks finding themselves ready to marry, or remarry, often wonder if a prenuptial agreement is really necessary. Do you have children from a prior relationship? Do you have property that you are bringing into the marriage; for example, real estate, investment/stock accounts or a retirement accounts (401(k), 403(b) or IRA)? Are you engaging in an activity such as writing a book or developing a product to be patented that you will continue to be working on during the marriage? Will you be supporting your fiancée while he or she goes to school or is beginning a new business with funds you had prior to the marriage? Is there a concern about the potential risk of spousal support obligations in the event of a divorce? If any of the above noted considerations related to your situation, you may find that prenuptial agreement would be beneficial to you. 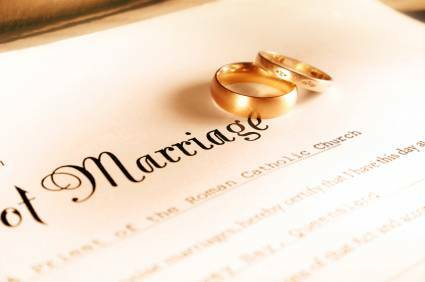 How Does North Carolina View Pre-Marital and Marital Assets? Are mortgage payments being made on the property with funds earned during the marriage? This can create a marital interest in the equity accumulated as a result of the income earned during the marriage being used to decrease the principal balance of the mortgage. Significant renovations that increase the value of the residence, if paid for by money earned during the marriage, would considered marital property to the extent the renovation increased the value of the property and subject to distribution (this is referred to as “active appreciation.”) Any increases in the value of the residence to due to the real estate market (referred to as passive appreciation”) would be considered separate property, even if it happens during the marriage. Examples of such renovations would be adding rooms to the home or upgrading the outside of the home. These investments of funds earned during the marriage made toward separately owned property created the “gray area” of what is and is not considered marital property subject to equitable distribution. Similar issues related to investing funds in retirement, stock accounts as well as any increase in businesses that you may have owned prior to the marriage. Prenuptial Agreements allow you to specifically contract with your fiancée that such increases in value and payments made are your separate property, and do not create a marital component in what is otherwise your separate property. There are many other issues to consider with regard to deciding whether or not you should enter into a prenuptial agreement, with the above scenario giving you an idea of how what may seem to be a black and white issue, can be blurred with the passage of time. An in depth discussion related to the other issues mentioned at a consultation to discuss your specific needs and concerns would be necessary to pinpoint exactly what issues you need to address in your prenuptial agreement. 1. Address the issue as soon as possible. We would recommend the process be started at least 90 days before the wedding in an ideal situation (if not more). It is very important that no one feel forced to sign the agreement as this may be a basis to void the Agreement. The other party must have sufficient time to participate in the drafting and negotiation process as well as allow them time to consult with a Raleigh family law attorney if they wish to do so. 2. Make a full disclosure of asset and debts. Full disclosure is necessary to ensure the prenuptial agreement is legally enforceable. Failing to make such disclosure can result in the prenuptial agreement potentially being set aside and thus not legally enforceable. 3. A prenuptial agreement as “divorce insurance.” While divorce concern is not the only aspect of what a prenuptial agreement addresses (estate matters are very relevant as well). If you explain to your fiancée that you are asking to enter into a prenuptial agreement so that you two have some assurances as to certain issues “just in case” with regard to death or divorce, it may be more understandable to him or her. If you have questions about prenuptial agreements in NC call (919) 301-8843 or complete the form below.